An evaluation of the use of resource control programmes in modifying dog behaviour. ​The concept of controlling a dog’s access to resources in order to improve their behaviour has for many years been a core component of many behaviourists’ treatment programmes. “Learn to Earn” is one term among many that is used as a label for this concept. It lends itself to adaptation and exists in many guises, such as “Nothing In Life Is Free” (NILIF), “Say Please Programme”, and “Integrated Compliance Training” (ICT). Used at its best, Learn to Earn is a vital addition to many behaviour modification programmes. However, if the mechanism behind the concept is misunderstood, and it is implemented inappropriately, it can impact negatively on dogs and their guardians. In particular, the pervading but misplaced preoccupation with “dominance” and “pack leadership” has meant that the mechanism underpinning resource control programmes has been misattributed to “status” or “rank” reduction, which can result in ineffectual or harmful implementations of Learn to Earn. This article aims to clarify the rationale and effective application of the Learn to Earn concept, and outline how its use can improve both the welfare and behaviour of pet dogs. 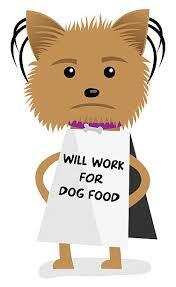 ​Each dog will place different values on different resources. For example a Border Collie may place massive value on the opportunity to chase a ball, and less value on food. But this balance is flexible, so if the collie is hungry the opportunity to chase a ball might be relegated to second place. It should be emphasised that none of these things are necessarily problematic or should by default be avoided by an owner, we do not need to worry that dogs are trying to control us in order to achieve "pack leadership" or "high status", dogs are simply doing what works to get them the good stuff in life. However, if a dog has a history of successfully controlling many situations that are of no concern to an owner, their interactional expectations may increase the possibility of inappropriate attempts to achieve what they desire. Unfettered access to resources can also result in dogs who do not view requests from their owners as meaningful, as these requests often serve to restrict access to resources rather than facilitate access. Finally, unfettered access to resources can result in dogs who lack impulse control and are more likely to become frustrated when expectations of control and access are not met. 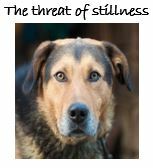 This frustration can result in escalations of intrusive or inappropriate behaviour, and in a small proportion of dogs may even bubble over into a loss of emotional control and aggression. ​Therefore, to resolve many problem behaviours it can be advantageous to alter the dog’s interactional expectations by taking control of resources that do not necessarily constitute part of the problem behaviour. Learn to Earn is about using motivation rather than intimidation to control dogs. If a dog achieves access to many of the resources they desire by following the directions of their human, life becomes more harmonious for both dog and human. The owner gets a dog that is more responsive to instructions as the dog begins to see these as opportunities to fulfil their desires, rather than something that might compete with or restrict access to resources. From the dog’s perspective things improve as they begin to have a consistent way in which to obtain the things they value – looking to their owner for direction. This can greatly reduce the daily frustration experienced by a dog, which has significant benefits for both dog and owner. The effects of a Learn to Earn programme are also desirable from a welfare perspective, as the motivation to behave appropriately stems from a desire to obtain the good things in life, rather than a desire to avoid pain, fear, or intimidation. Opening of the front door at the start of a walk may be delayed until a dog moves to their bed on request. A dog is not allowed up onto the couch for a cuddle if they jump up of their own accord, but they are invited up if they respond to a quiet “sit” request given once. A dog may be kept on lead and prevented from getting to other dogs they want to play with while they continue to pull towards the other dogs, but allowed off-lead to play once they “down”. Midway through a tug game with a rope a “drop” request is quietly given, and the rope brought in to the owner’s legs so it is “dead” and boring, the owner than waits until the dog decides to let go, and the rope is immediately presented for the dog to play with again. A key part of this process is that the dog makes the decision to respond to a quietly spoken request given once, rather than being forced to do so. For example, simply holding a dog back from the door and walking out first teaches a dog virtually nothing (other than to pull and compete physically with their owner). But asking them to sit and stay while the owner opens the door and moves outside is an excellent exercise in impulse control. It is important to note that a Learn to Earn programme should NOT advocate that all resources are controlled all of the time, but that situations where a resource can be controlled by an owner are opportunities to become a meaningful facilitator. There is nothing wrong with allowing a dog to obtain resources for free some of the time, as long as their behaviour is acceptable. Some things in life should be free! For example, at the start of a walk it is perfectly acceptable to sometimes open the door and allow a dog to walk out without doing anything to “earn” it (as long as they are polite)! There are so many great dog names to choose from, it can be hard to decide on the perfect name for your new furry kid! But naming your dog is also “serious business”. We learn that a growl is a warning, and that if a tail is wagging, that dog is happy (although that isn’t always the case). If a dog is lunging and barking we know to be careful. But what we’re not taught is to beware of stillness.